Rainbow summer camp is a fun filled organized program for children conducted annually at Sneha care home. It is conducted aiming at opening children’s horizons to a wide variety of specialized activities like performing arts, crafts, music, dance, awareness sessions and skill development training. The prime purpose of the summer camp is help the children recuperate after the holidays and prepare themselves for the new academic year. Secondly, it also opens new avenues of educational and entertainment opportunities which allow them to grow in a nurturing environment. 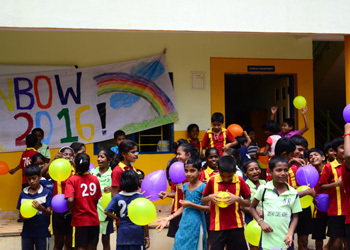 Rainbow Summer Camp was conducted in June, 2016 and it was a unique experience with a lot of fun and frisk. Major highlights of the two days celebration included activities such as organic farming techniques, dance therapy, cookery class, arts, crafts, theatre workshop, paper bag making and various other activities. Ms. Mary, Professor, Sacred heart Community College inaugurated the programme in the presence of Fr. Jaison, Director, Sneha Care Home and Mr. John &amp; Mr. Wilfred from Rare Earth Farm. The resource persons who made the programs of the camp more and more lovely and colourful were Mrs. Sunitha James (Cookery training), Ms. Priyanka (Paper bag making), Ms. Vidhya (Dance Therapy) and Mr. John &amp; Mr. Wilfred(organic farming and manure preparation). 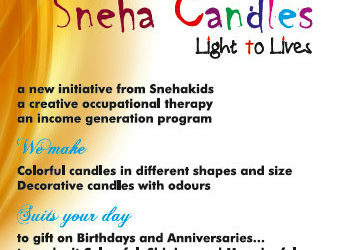 The guidance of Sneha Care home team (Fr. Jaison, Director, Francis, coordinator, Clera and Jini, counselors) and the support of volunteers Mrs. Rani (India), Jeremias and Ronja (Germany), helped to execute and conduct the two days workshop beneficial to the children.